Discover resources that help you mine the deep or invisible web instead of just searching the surface. 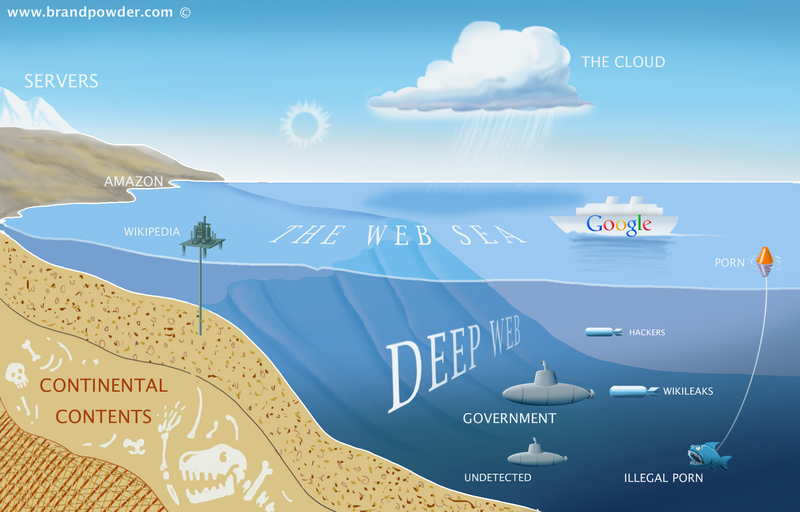 The Deep or Invisible Web is drastically larger than the surface web and includes information that is not easily found using search engines like Google, which just search small sections that are quickly available.This is because the information is not stored on websites; it is found in databases. It is hard to know just how much larger the deep web is because the internet is always changing. There are some special free search engines that can be used to find some of this content. Cast your net into the Deep Web to find more information about your research topic. Improve your research results by getting beyond the suface web. Delve into the Deep Web by using the MSUB Library databases. The library subscribes to over 80 databases that are only available to students, staff and faculty. When using a computer from off-campus to access one of the Library's databases, you will be prompted for your username and password. Log-in with your NetID and password.